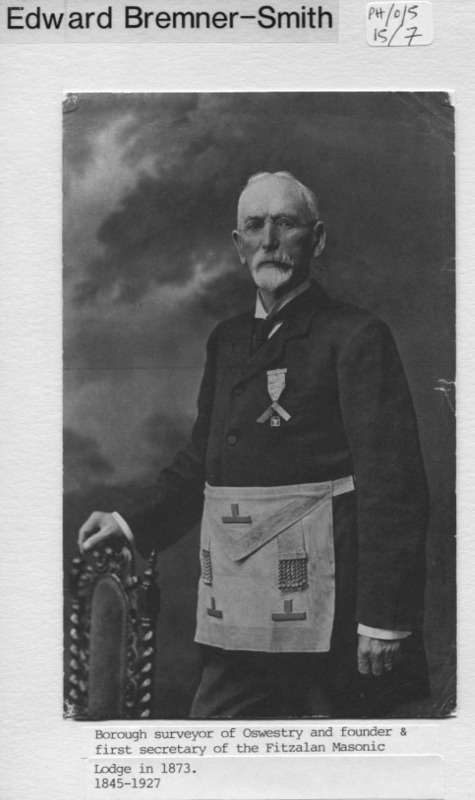 Edward Bremner-Smith (1845-1927) Borough Surveyor of Oswestry & Founder & First Secretary of the Fitz Alan Masonic Lodge in 1873. Masonic Lodges were founded in Oswestry as early as 1866. Photograph and caption from “Oswestry – A Pictorial History 1850 – 1950” compiled by Bernard Mitchell. He is listed in trade directories as Mayor in 1913 and is resident at Bryn Estyn.